Storytelling has always come naturally to Julien Laurent George, and telling stories with his camera at weddings was a natural progression for him from his first love of fashion photography. 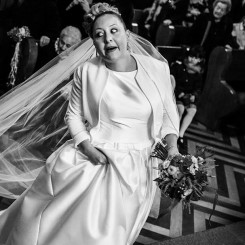 In his portfolio, you’ll find a range of emotional work from the sublime and solemn moments of the bride getting ready to hilarious behind the scenes moments at weddings. Julien was awarded as one of our Top 10 Photographers for Winter 2018. Hailing from Paris, France, Julien blends reportage-style documentary photography with fashion-inspired portraits resulting in deeply personal and timeless photos. What’s your favorite part about photographing weddings? My favorite challenge on a wedding day is finding the connection or “feeling” between the bride and groom, which is different at every wedding. The human relationship is the most important thing for me to show through my photography. We often say that a beautiful picture has a little something more... I hope that in some of my photos I can show the invisible thread woven by the link between people. This is why I prefer to do wedding photography over landscapes or other types of photography. 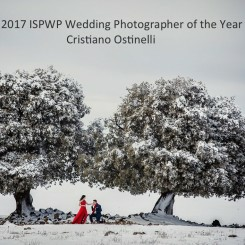 What's your best advice to couples who want amazing and unique wedding photos? Marry someone you love! That sounds simple, but it’s true. Be patient when choosing your mate. Love always shows in the photos. My approach to photographing portraits of the Bride and Groom is that I talk a lot! I make them feel relaxed; I joke a little! By talking to them, it relaxes them and brings out the authenticity of their love. How do you feel about photographing a first look? My favorite first look is when the Groom discovers the Bride entering the church like a superhero comic! I know that this moment of the wedding is one of the most important and one of the most emotional moments of the day. It’s also when I feel my technical concentration is at its highest, as these moments are fleeting and must be captured professionally. Yves Saint-Laurent, the famous French philosopher, said, “La Mode passe, le Style reste.” ("Fashion goes, Style remains."). The sentence is my core thinking when I photograph, and I would have loved to have coined this phrase. No matter what the fashions are of the day, showing the unique style of the couple through photographs will never grow old. 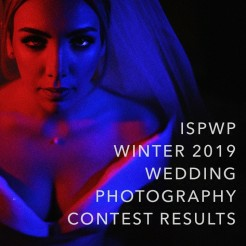 What is the difference between a great wedding photo and an award-winning wedding photo? Robert Doisneau, another great French philosopher, said: “Si je savais prendre une bonne photographie, je le ferais à chaque fois” ("If I knew how to take a good photo, I would do it every time"). Luck is an element on the wedding day, but that luck will fail you if you do not practice the technical side of photography. Often, I don’t know I am in the zone, and then I fall in love with the unexpected photo! One of the favorite moments is in post-processing when I discover an exceptional photo of an unexpected moment (I had forgotten the existence of this moment), and it's often these photos that I present in the ISPWP contests. To be an ISPWP Photographer, you must display a high degree of talent and technical expertise. 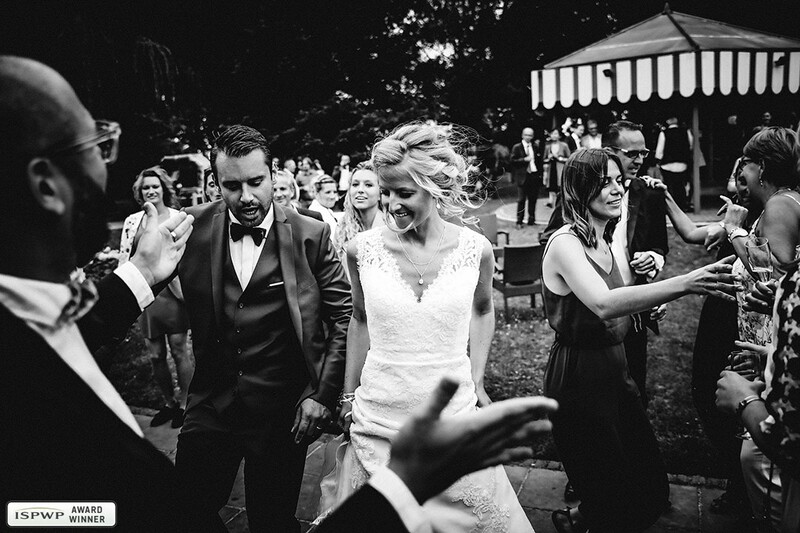 But, as Julien Laurent Georges has shown, to be an award-winning photographer it takes more than talent and technical knowledge; you must also genuinely care about the art of wedding photography and value what it will mean to your clients. View Julien Laurent Georges' portfolio here.